If you are a groundskeeper yourself, then you know the importance of getting your tasks done as quickly and hassle free as possible. Some tasks can be made a heap easier if you have the right tools at your disposal. Here at Mammoth Cleaning Supplies, we have been supplying products for groundskeepers, cleaners and janitorial staff for over 20 years, helping them realise their goals and make them achievable at any budget. Below we have a great range of products designed to help make those maintenance jobs and tasks that bit easier. Littered pathways, bushes and grass are no match for this excellent product. The soft and comfy pistol grip handle feels natural in your hands, and the 32″ length of the picker itself helps to reduce the amount of time left crouched or bent over – saving your back and knees from any unwanted strains and pains. The swivel head works to make it easier to capture awkward bits of refuse so you don’t have to needlessly twist your arms to get the best out of this heavy duty litter picker. Have your forecourt and car park surfaces seen better days? Patio areas looking grotty? Maybe even a few fleet vehicles in need of a clean up? 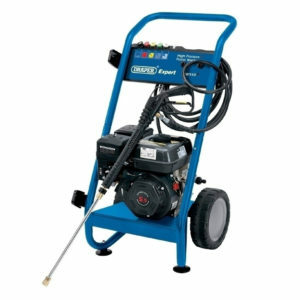 The Draper Petrol Pressure Washer is exactly what you need. with a 5hp engine to help power it through even the thickest of grease and grime to leave paths and concreted areas sparkling clean. It has a 3.6 litre fuel tank, and outputs from the pump at 160 bar / 2320 psi. 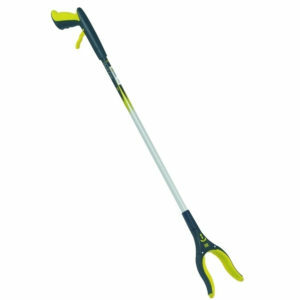 This short handled and wide hand shovel boasts a width of 230mm, making it ideal for clearing debris and for medium gardening jobs. 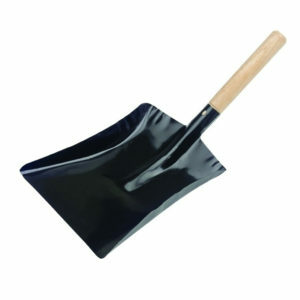 The wooden handle is sturdy, made from a smooth wood finish, overall this is a lightweight and essential product that offers good comfort and a generous scoop for clearing larger amounts of debris. Save time with this excellent addition to your grounds keeping arsenal. 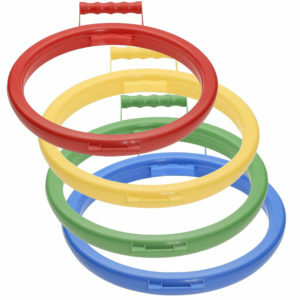 This simple plastic hoop has a handle for your comfort, and can have any refuse sack attached to it, making it a great multipurpose tool, keeping sacks open for easy access when depositing debris. Made from a heavy duty polycarbonate which is lightweight for easy moving around, this is perfect for use with the Salmon Hygiene Litter Picker. Once you’ve bought a hoop – you’re going to want some durable bags to go with it. 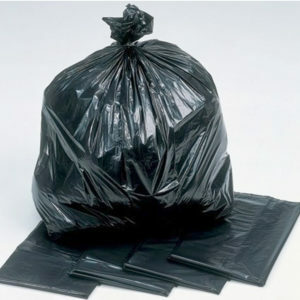 these wheelie bin liners from Cromwell Polythene are durable and will easily attach to the bag hoop. There are 100 in a pack, so they’ll go the distance, just without having to worry about running out of bags,=. So you’ve swept, power washed and generally cleaned, but theres nothing messier looking than an unsightly pile of cigarette stubs on the floor. 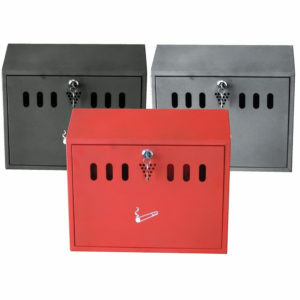 These large capacity Cigarette Bins from U Group are ideal for ensuring discarded smokes never end up on the floor, with a grate for stubbing out and easily attached to walls for a convenient and tidy measure in those smoking areas.